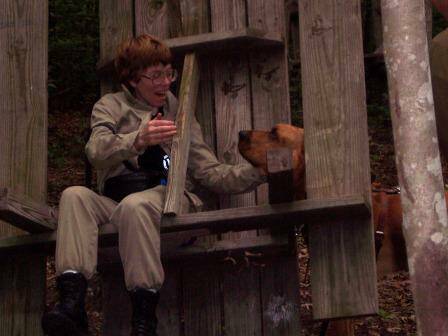 K-9 Grace working water cadaver. 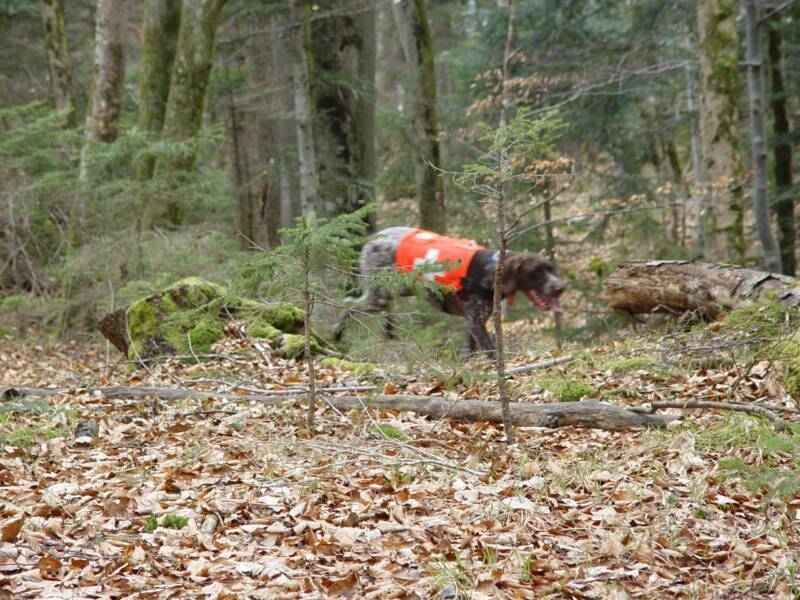 K-9 Jack in Austria, in scent and pulling hard on a training track. 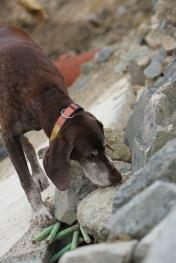 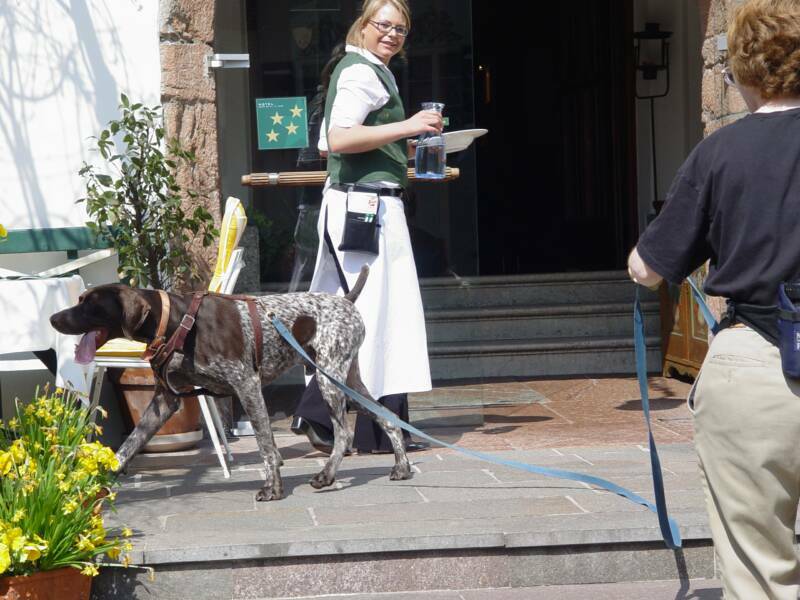 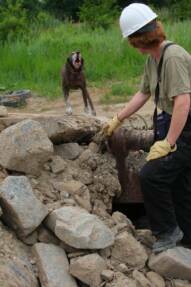 K-9 Jack in Austria working a trail which ended in a resturant. 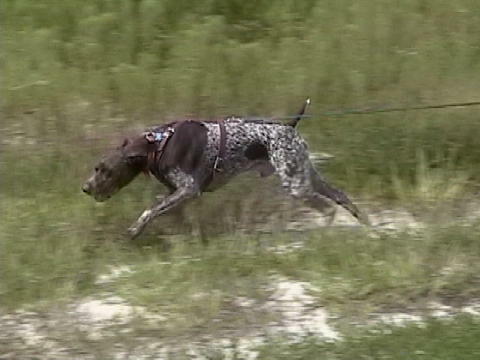 K-9 Jack on his normal gait on a training run. 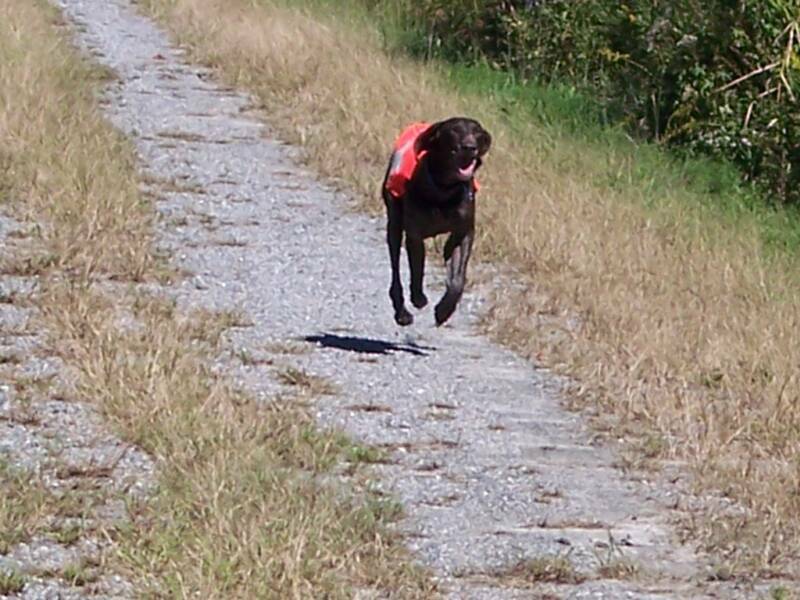 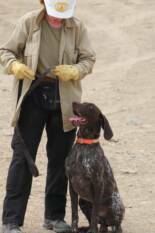 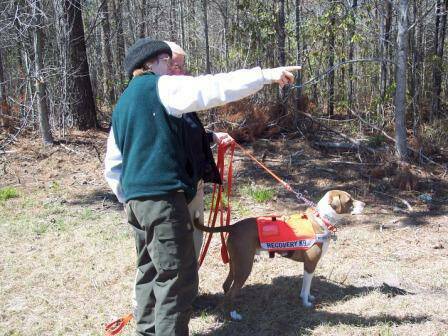 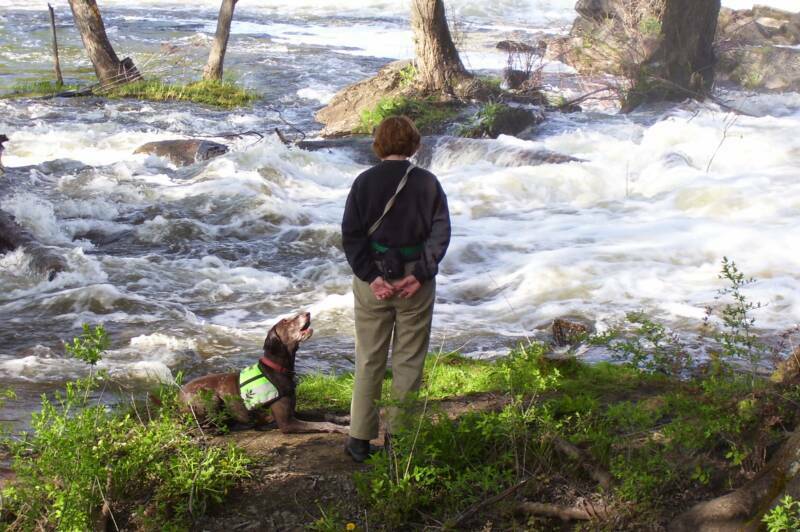 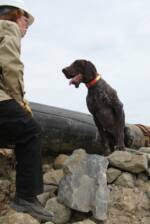 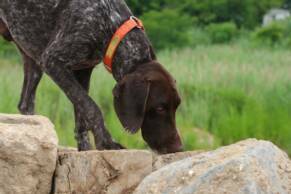 Indicating the boundries for K-9 Brownie's cadaver search during training. 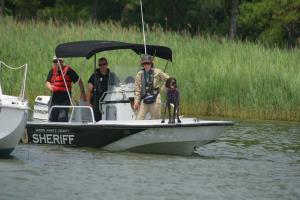 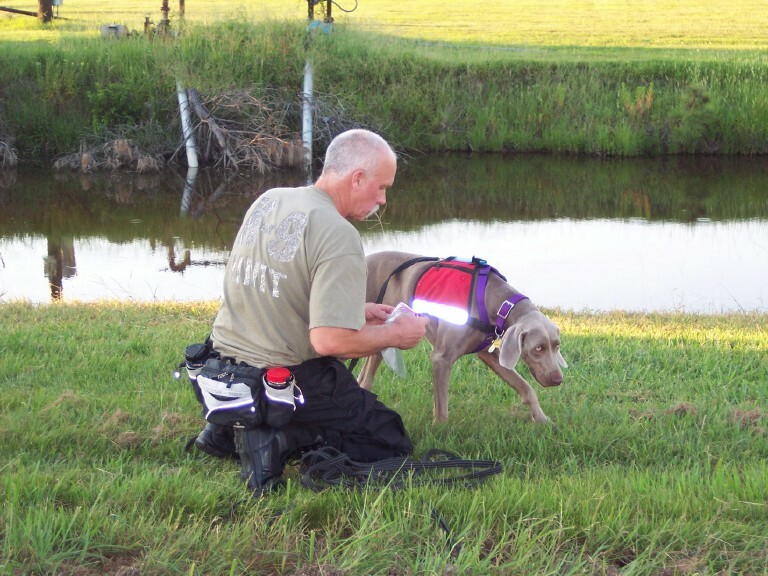 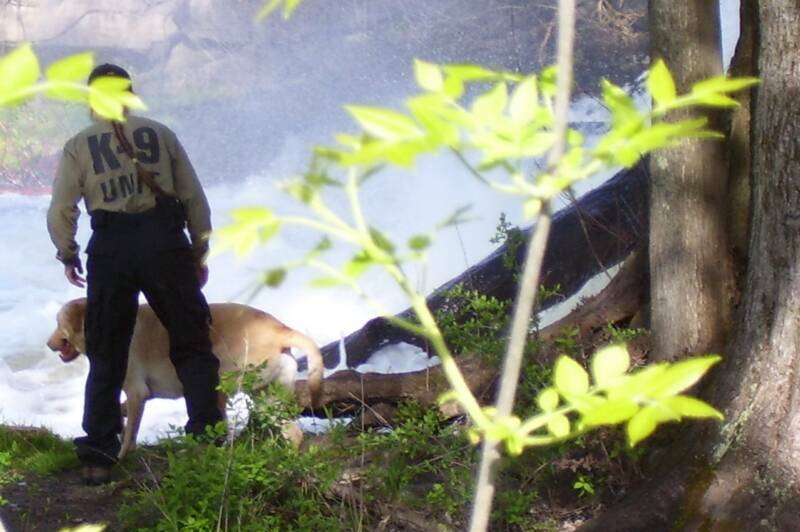 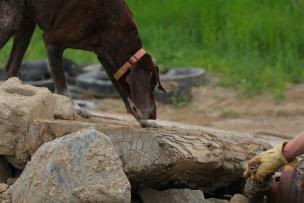 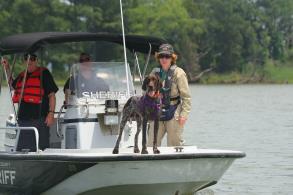 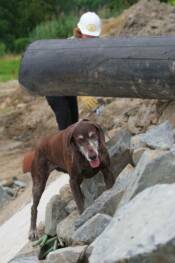 K-9 Quincy during a water cadaver search. 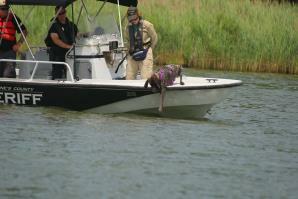 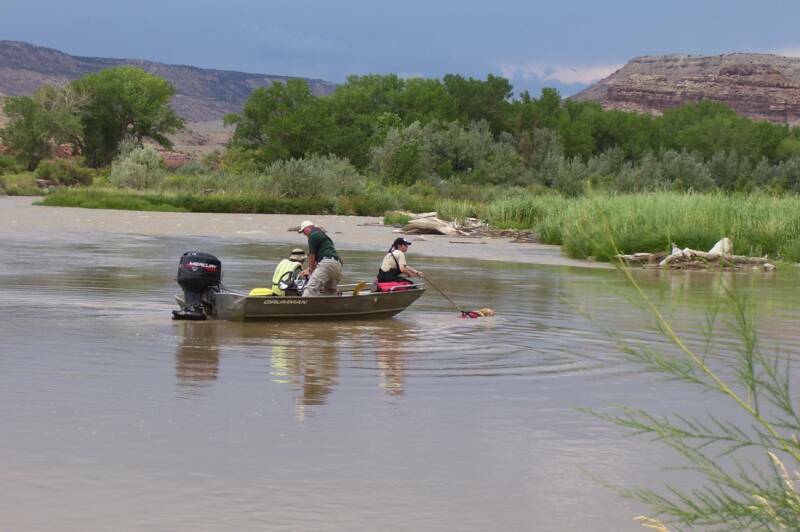 In scent, he tried to get there faster by jumping from the boat & swimming to it. 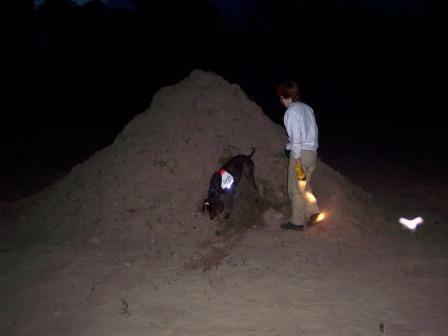 K-9 Ben doing nighttime cadaver training (It's buried in the sand pile). 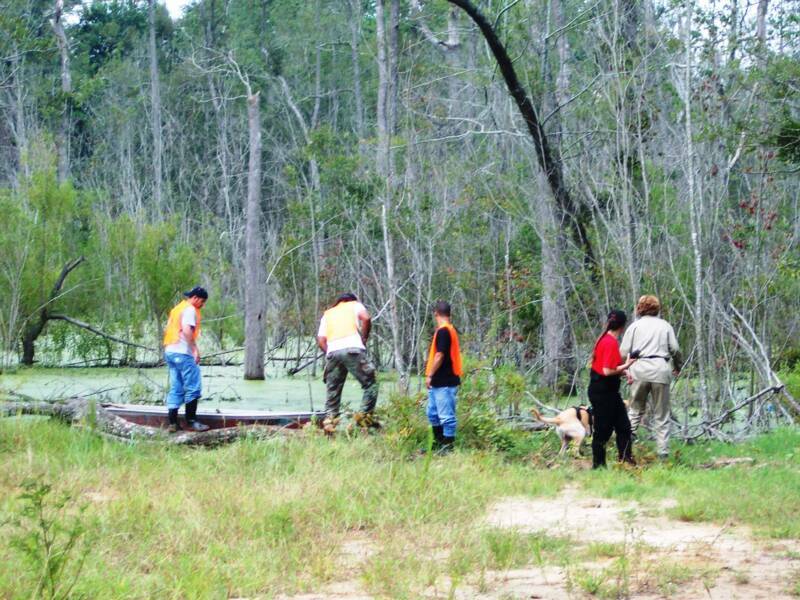 Unit doing land/water cadaver search in a North Carolina swamp. 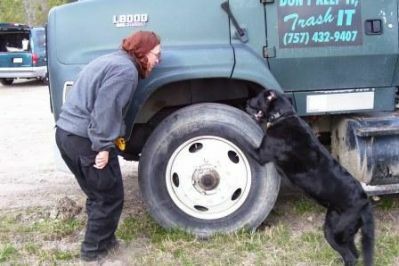 K-9 Grace scratch alert cadaver indication on truck's tire well. 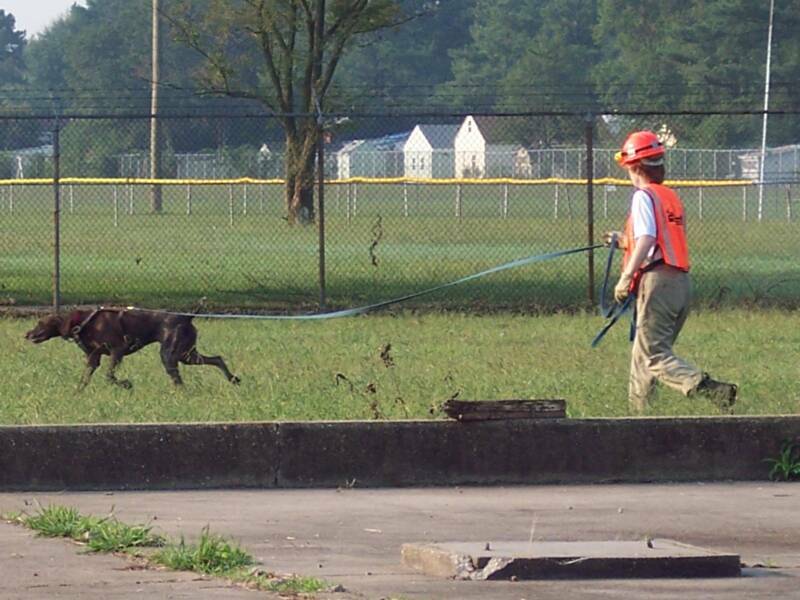 K-9 Jack working in his typical no nonsense gait. 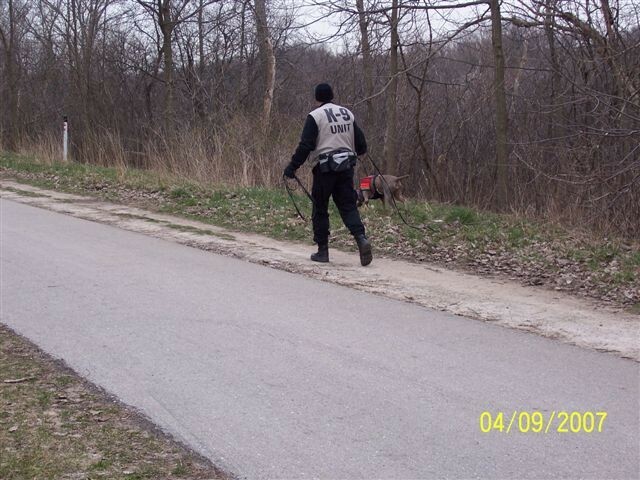 K-9 Ben on the run, returning to handler in order to indicate he has made a find. 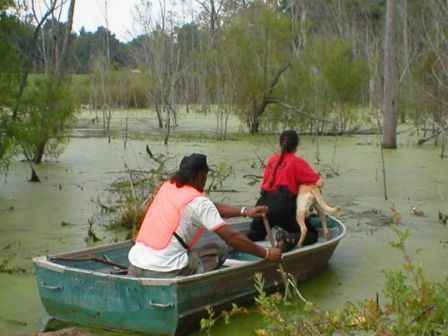 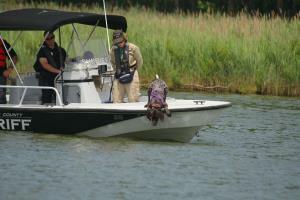 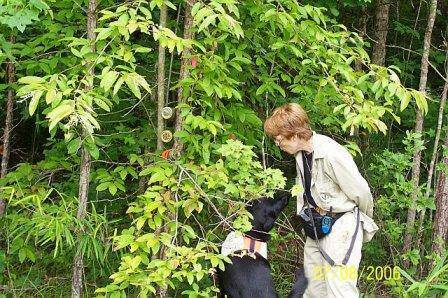 K-9 Quincy doing cadaver search in a North Carolina swamp. 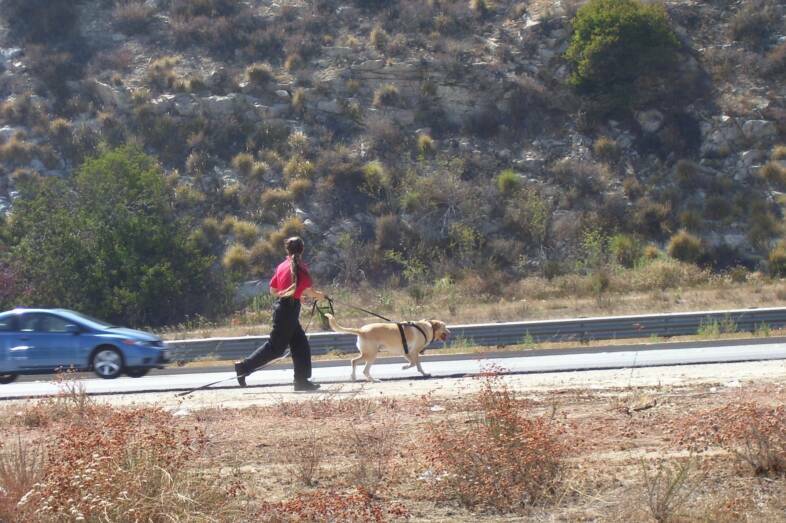 K-9 Ben performing off-lead trailing exercise. 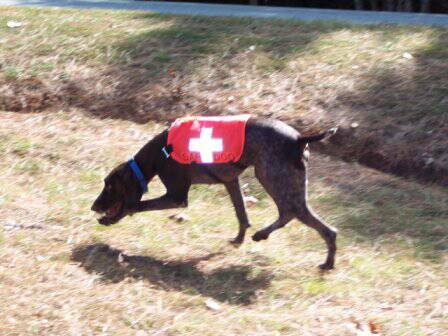 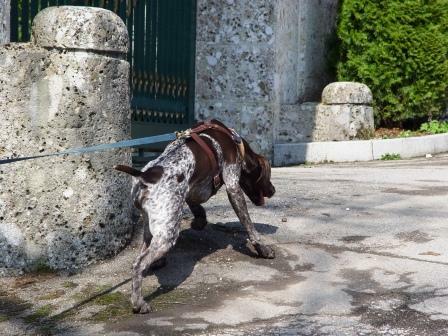 K-9 Jack in Austria coming into the victim in off-lead airscent exercise. 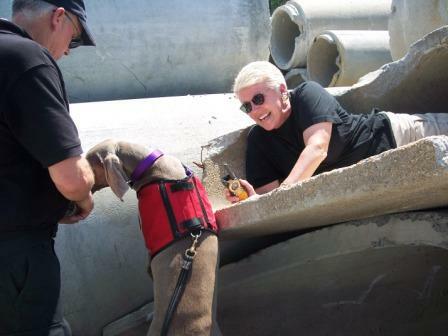 K-9 Jackson has found his victim during training. 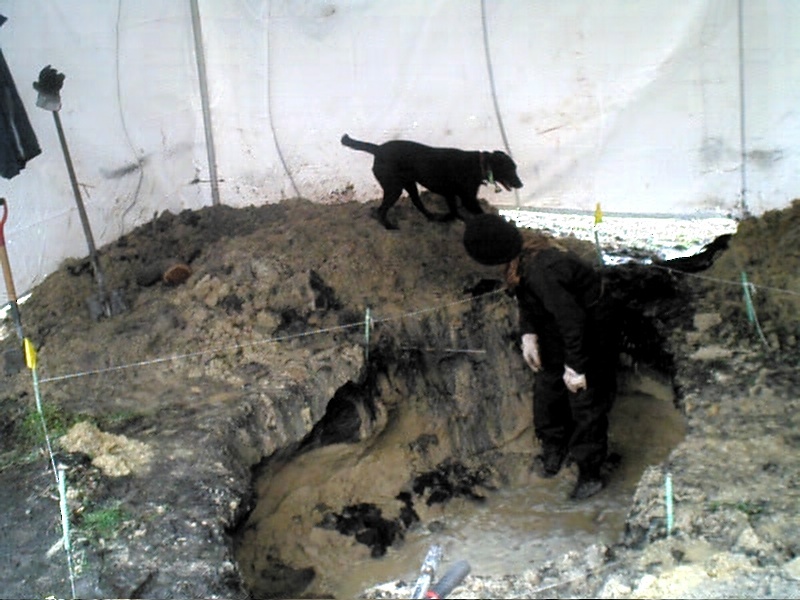 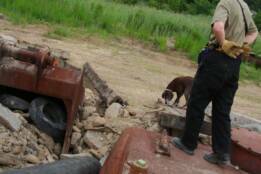 K-9 Katie working a buried cadaver case. 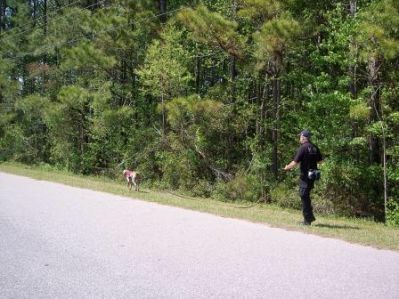 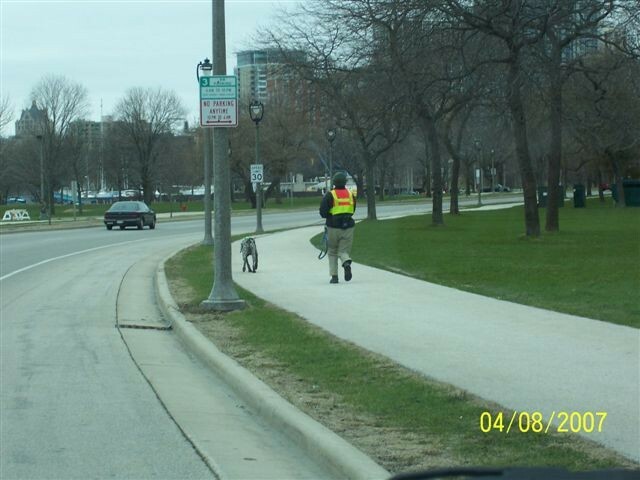 K-9 Dixie working a car trail. 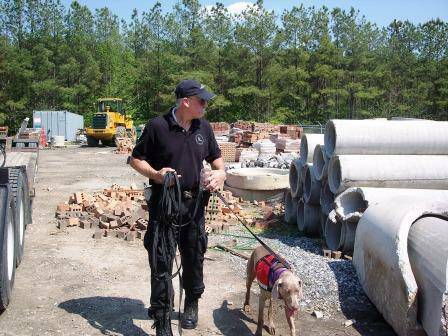 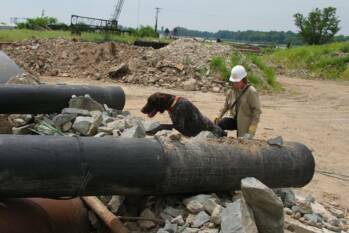 K-9 Dixie getting ready to search a construction yard during a training run. 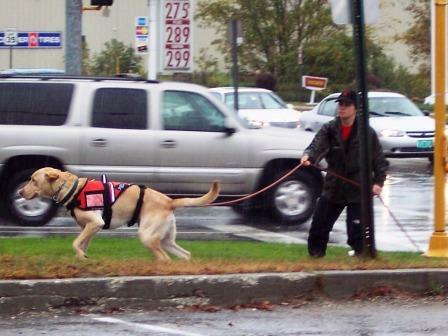 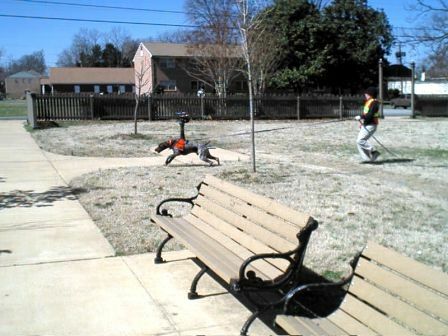 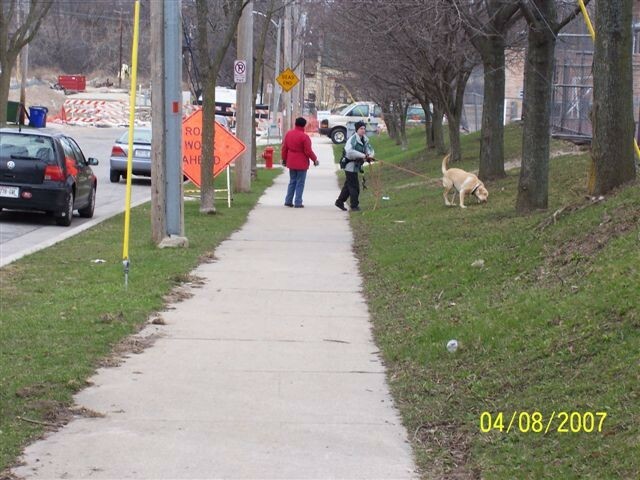 K-9 Ben tracking a walk- away, disorientated victim during CERT training. 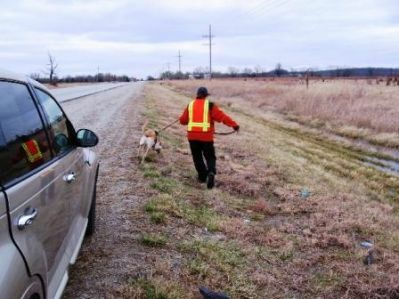 Discussing the K-9 tracks with LE Officer in Charge. 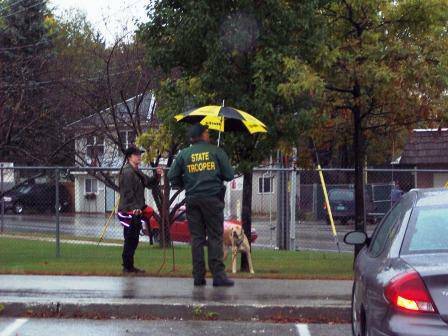 K-9 Sam getting ready to take his turn.